Well presented in both a 2CD or DVD/Blu-ray format, this is enjoyable and it's good for fans. Got 'Hi Ho Silver Lining'? Not in this show! This is a celebration of Jeff Beck's fifty years in the business, during which time the accepted guitar virtuoso (even Jimmy Page bigged up his solo skills when inducting him in the Hall Of Fame) has never stood still, always challenging himself. His latest rabble rousing, Hip-Hop-infused release 'Loud Hailer' shows just that. Here though, he is in a more traditional setting, playing hits and favourites with guests. The Hollywood Bowl is a delight to him, but because we have the pitch perfect set-up and no real set, it can resemble a studio at times. The picture is clear and the shots varied, but the crowd is seated and sometimes staid − this is a musical celebration after all. Not that Rosie Bones got that directive. The main vocal foil on the last album kicks things off with 'The Revolution Will Be Televised', marching around the loop of the seating pit at the front of the stage, megaphone in hand...but the crowd seem a little nonplussed by her actions, they want the other stuff. That they get. 'Over Under Sideways Down' shows little energy, but 'For Your Love' manages to shake vocalist Jimmy Hall a bit and he really goes for 'Morning Dew' – impressive. Then to the first of the guests; a portly Jan Hammer having a great time and jousting with Beck on 'Star Cycle' and the title music for US Mid-South Wrestling from the eighties (catch it on YouTube) which is granted a judicious lighting display. Beth Hart then appears, such passion and sultry style during 'I'd Rather Go Blind', and we also get Billy Gibbons, great to see him, but if you're picking a ZZ song why plump for the saccharine 'Rough Boy'? Of course, they do burn on the solos though. Thank the deity then for Steven Tyler. He does his usual excellent thing, kicking 'Shape Of Things' up the arse with real energy; he actually works the audience and they love it. 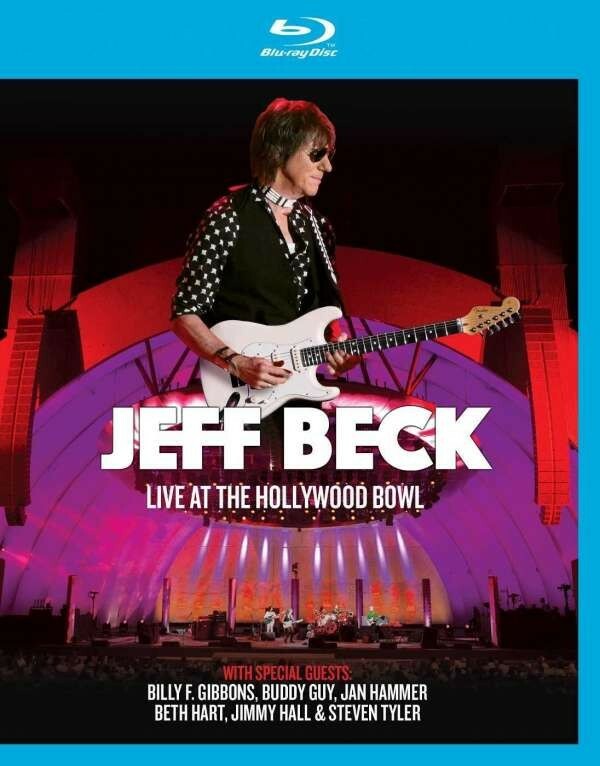 Jeff Beck is a guitar wizard, his flow is beautiful, his tone is sumptuous, that much is very apparent in the work he does to interpret 'A Day In The Life', but it's his risk taking that really makes his career something special. Well presented in both a 2CD or DVD/Blu-ray format, this is enjoyable and it's good for fans, but a risk it is not.